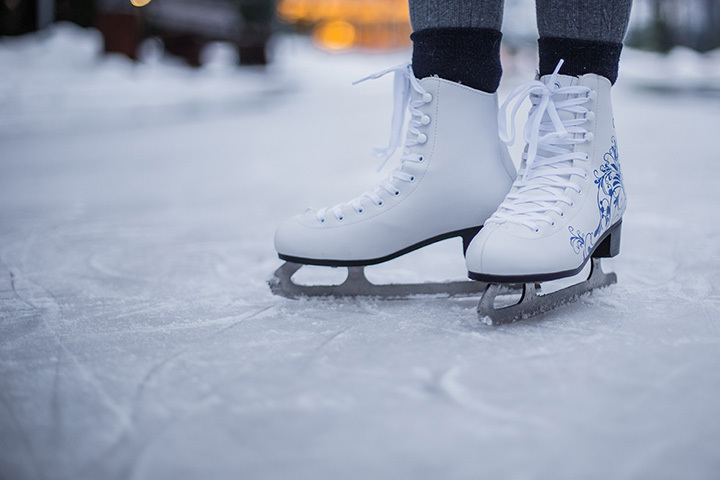 The 10 Best Ice Skating Rinks in North Dakota! The state of North Dakota is not unfamiliar with the cold, and is home to some of the best college ice hockey teams in the country. So, it should come as no surprise that there is an abundance of high-quality ice skating rinks sprinkled across the state. From stunning coliseums to cozier rinks, the Peace Garden State has exactly what you’re looking for. Here are the 10 best ice skating rinks in the state. Open since 1968, the 3,300-seat arena is home to several local hockey teams and ice skating revues. It also offers adult drop-in hockey and open skate times. Remember to bring your own skates! Rentals will not be available. Although the arena currently features one sheet of ice, plans have been finalized to add another sheet in an upcoming expansion. The arena is home to figure skating and hockey activities, as well as open skating. Although facility rentals are available, skate rentals are not. The Sports Arena features artificial ice for winter activities such as hockey and recreational skating. The facility also features a running track, weight room and figure skating rink. Veteran’s Memorial Arena includes a skating rink with warming house that is open for public skate. The arena also includes a walking track, weight facilities, and a basketball court. The Blue Line Club is equipped two indoor ice rinks, locker rooms, play area, and inline skating area in the summer. No worries if you don’t own a pair of skates, either. Blue Line has rentals available. The Maysa Arena opened in October of 2000 and features two sheets of ice, locker rooms, and concessions area. Skate, ice, and facility rentals are available. In the summertime, one of their rinks is the sole sheet of ice available in western North Dakota. The VFW Sports Center is home to two separate rinks that provide for a plethora of activities, including hockey, public skating, and curling. Facility rentals are available. The Southwest Arena includes two sheets of ice available for public skating and adult drop-in hockey when not being used by local hockey and skating groups. Stop by the Burdick Sports Arena and you will find a regulation hockey rink that is available for both hockey and public skating. The facility is available for rent if you’re planning a special event. In Jamestown, the Wilson Arena is the place to be. The regulation hockey rink is available for hockey and public skating. In addition to youth hockey games and tournaments, the annual Ice Show is also held at the arena. View more North Dakota Ice Skating Rinks.